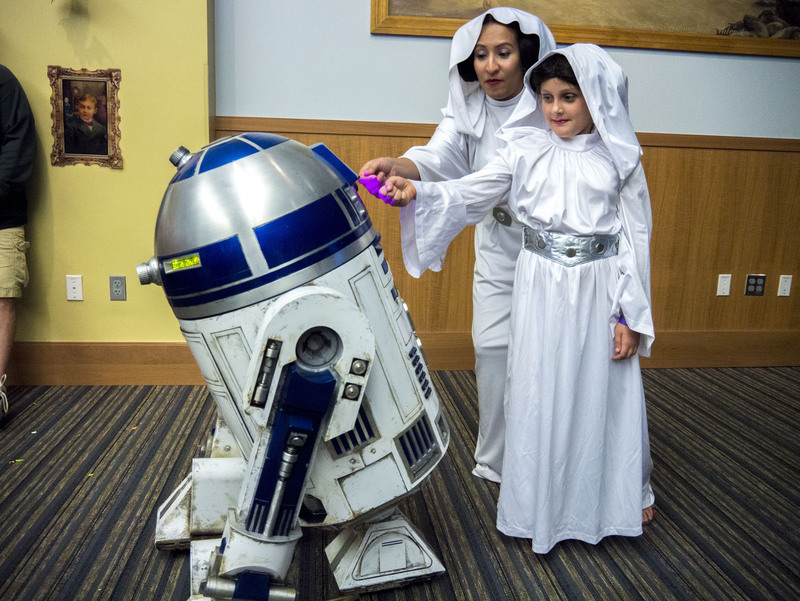 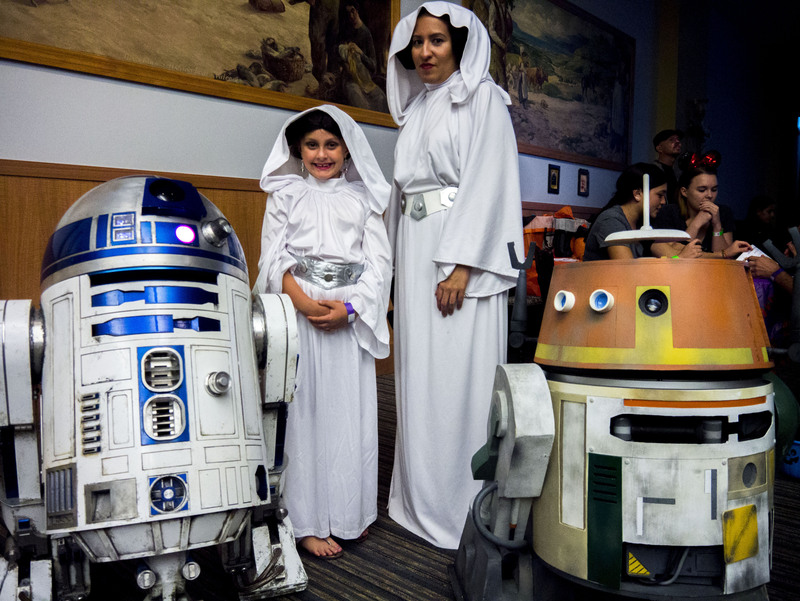 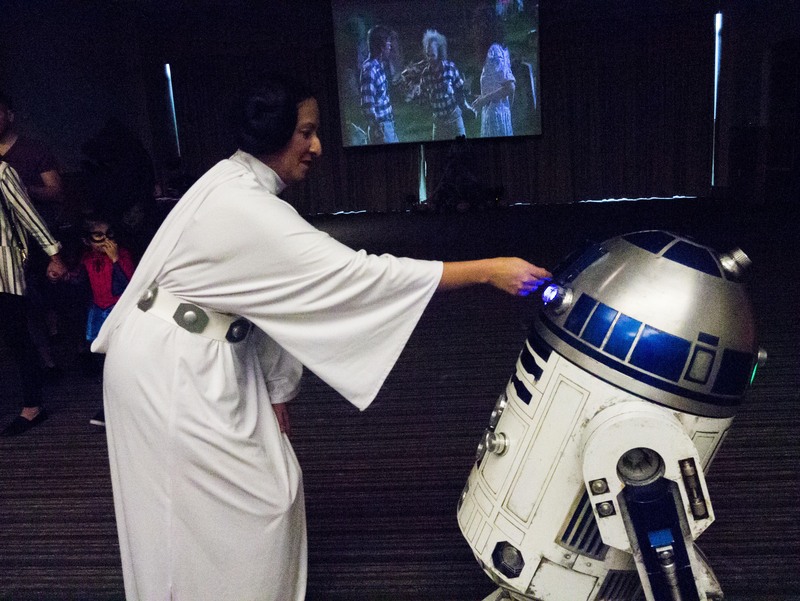 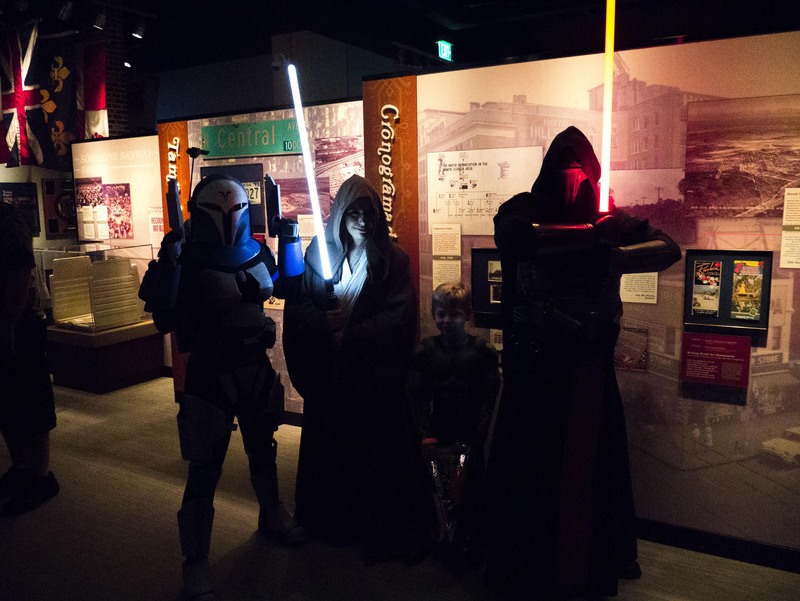 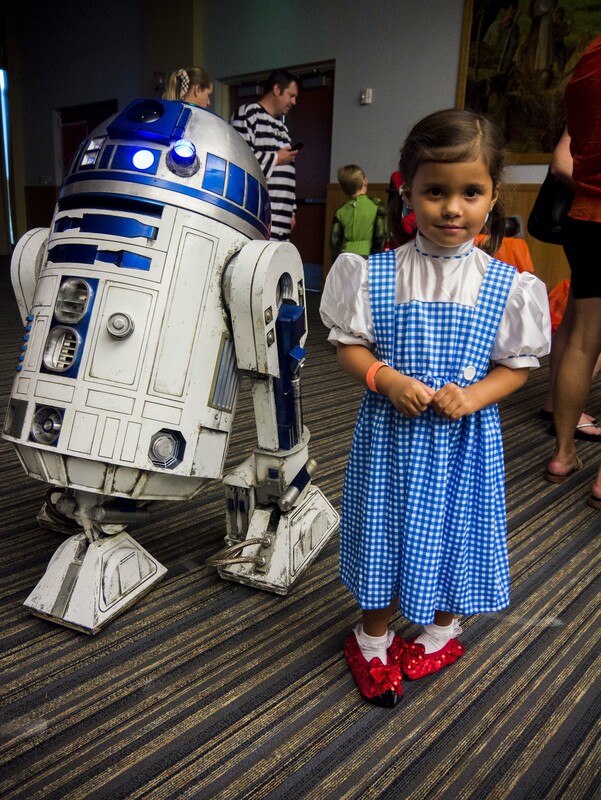 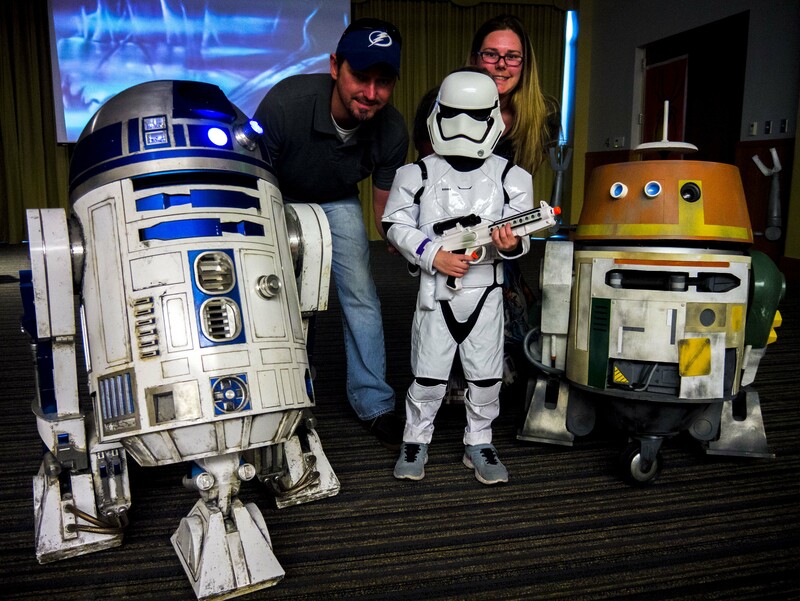 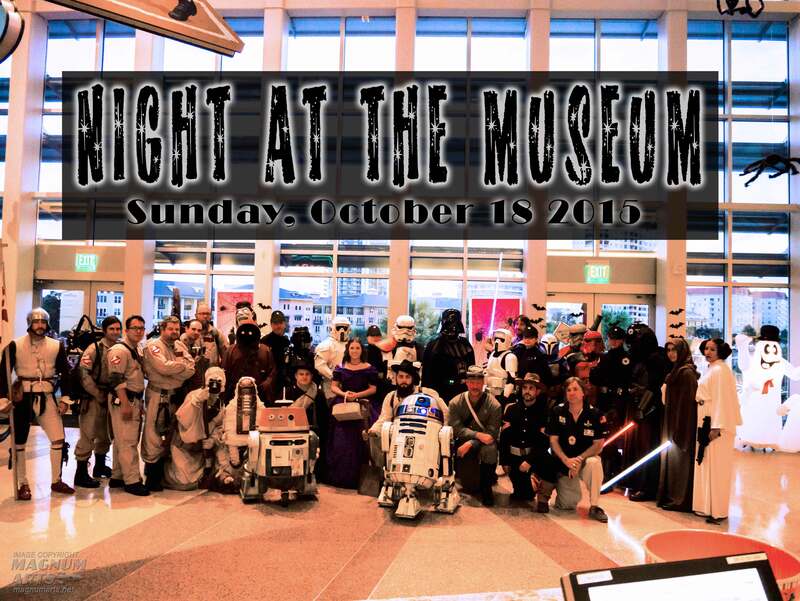 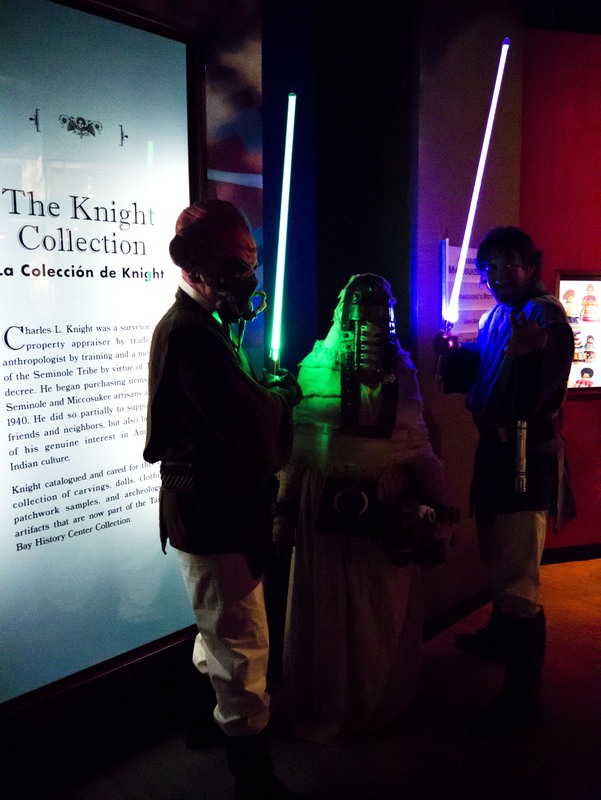 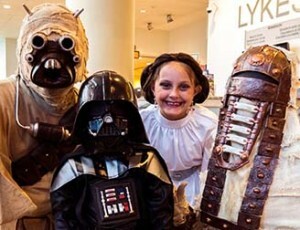 This is the fun event I was on TV to promote in the previous post, an annual Halloween event at the Tampa Bay History Center where kids come in costumes to trick-or-treat with costumed characters, such as the Ghostbusters, civil war re-enactors, and, of course, The 501st Legion, with even R2-D2 making an appearance. 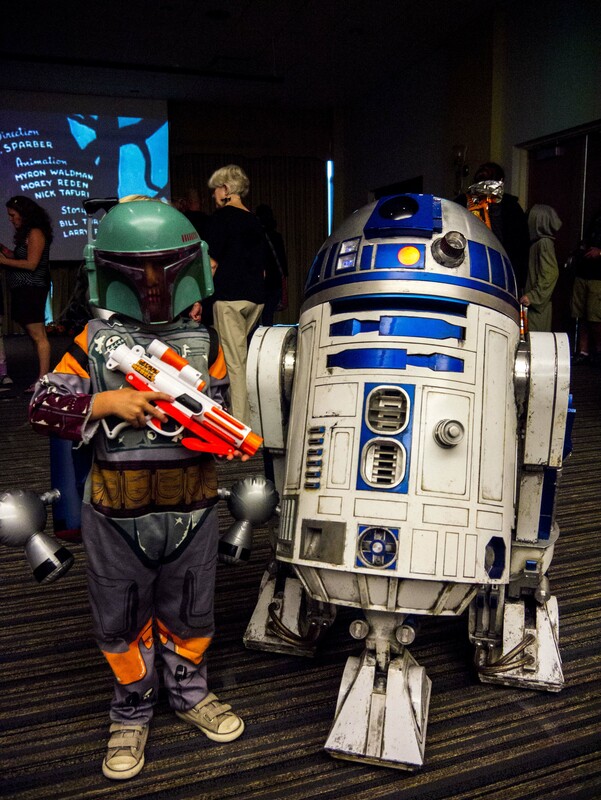 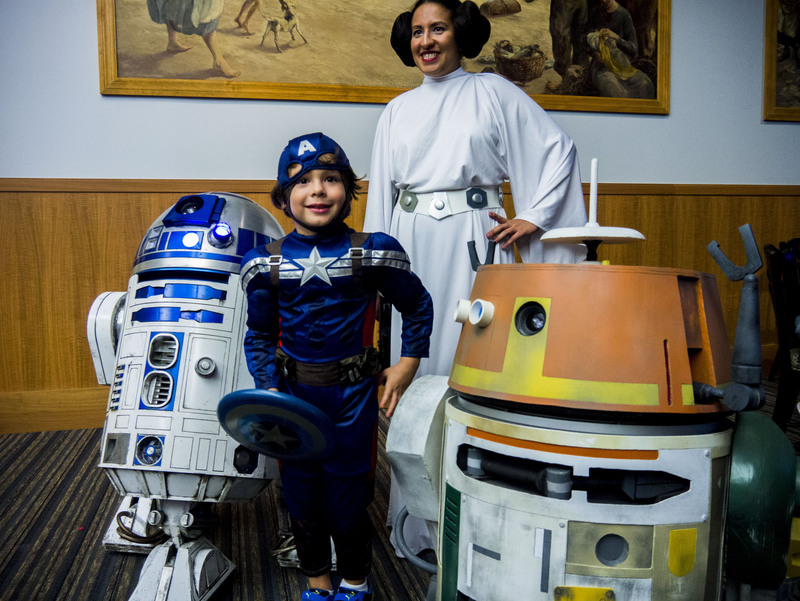 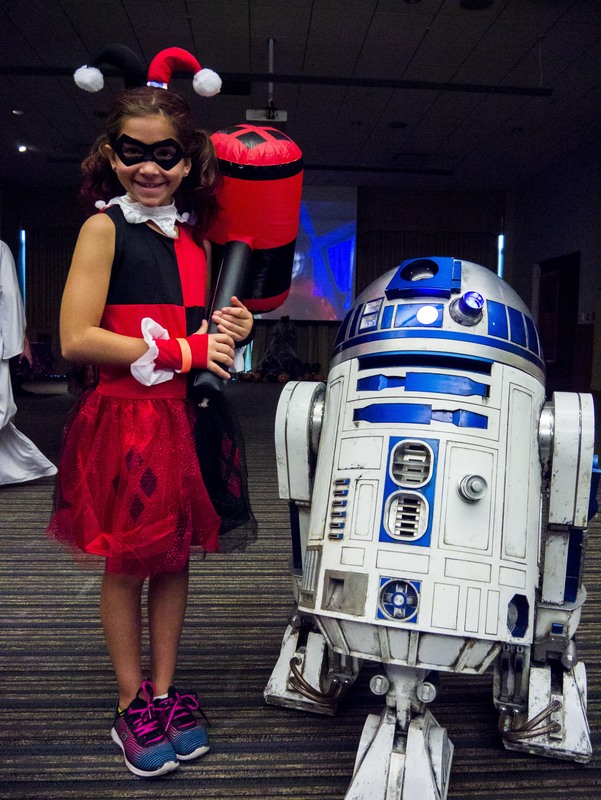 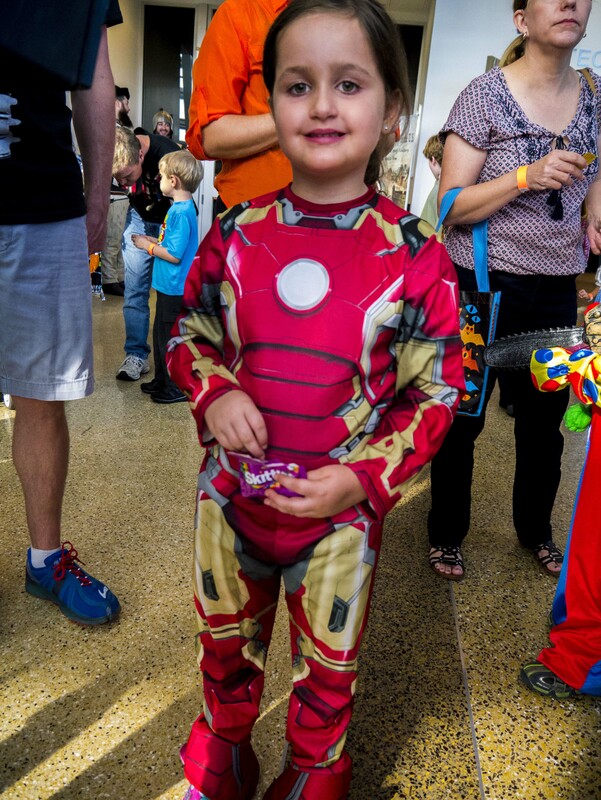 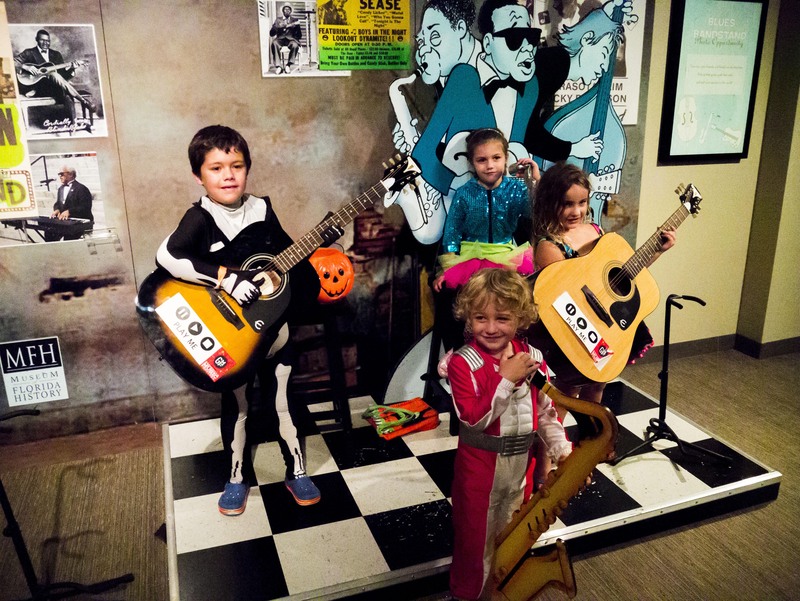 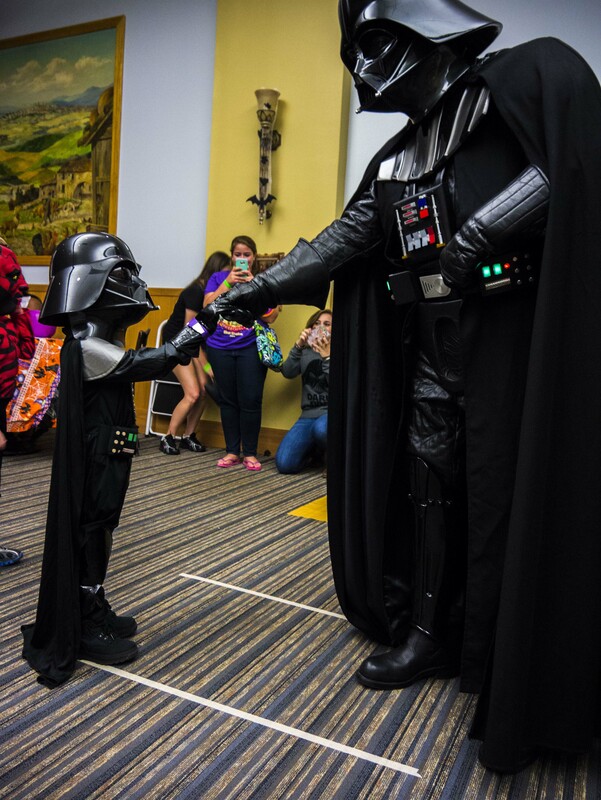 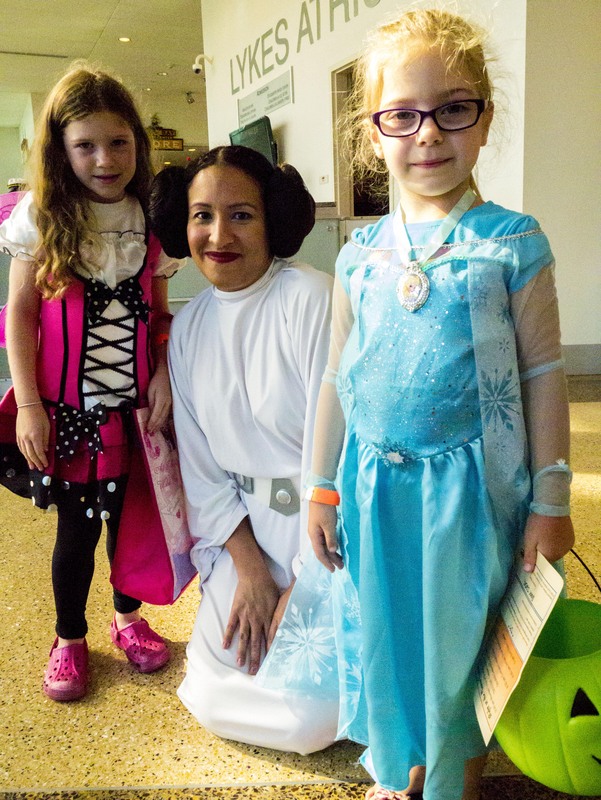 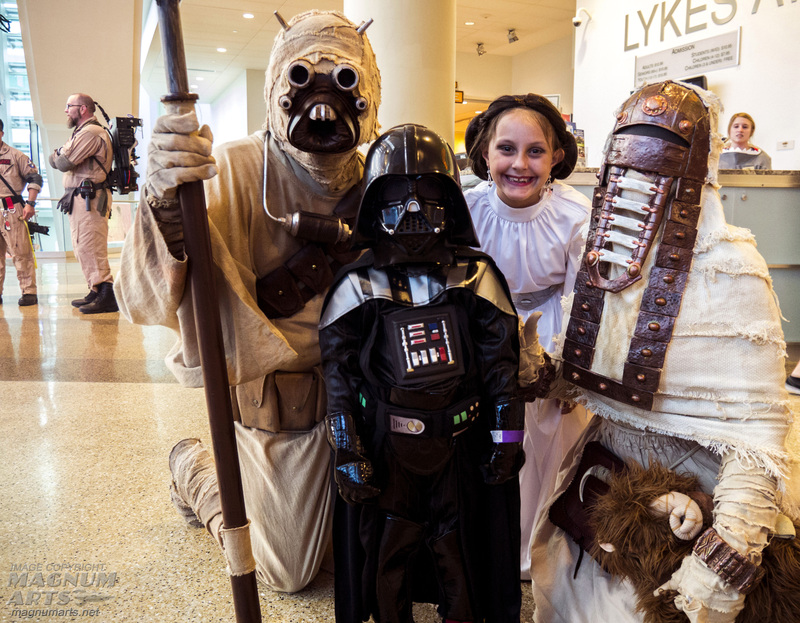 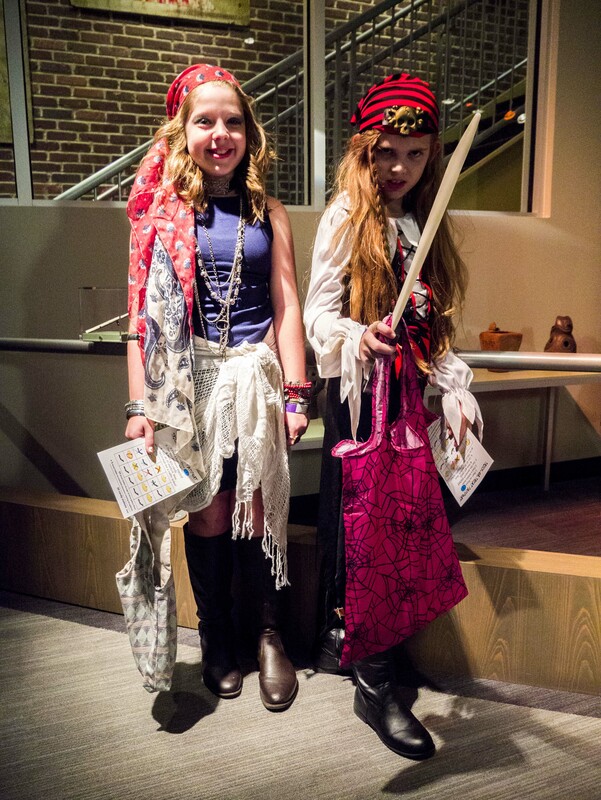 I’ve been co-organizing this fun event for years and the kids in their costumes or just ridiculously adorable. 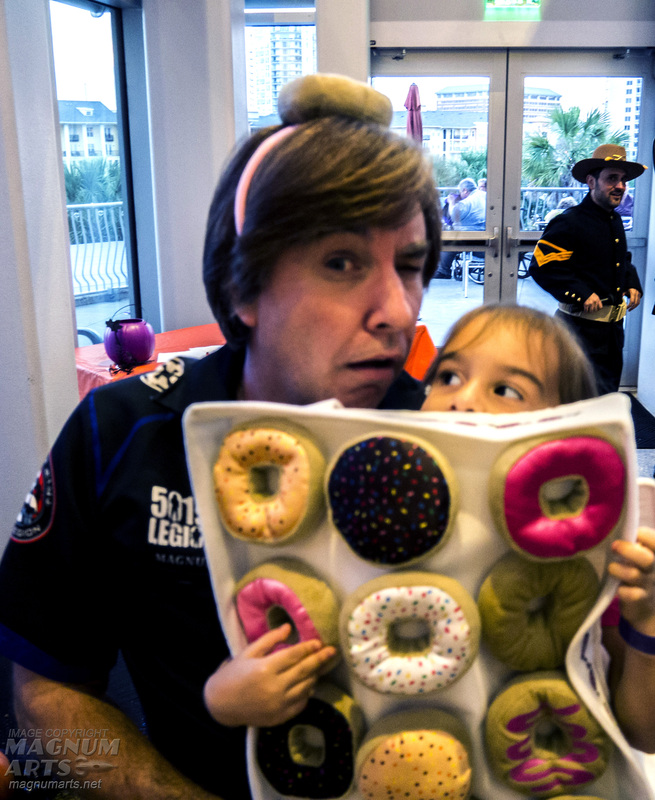 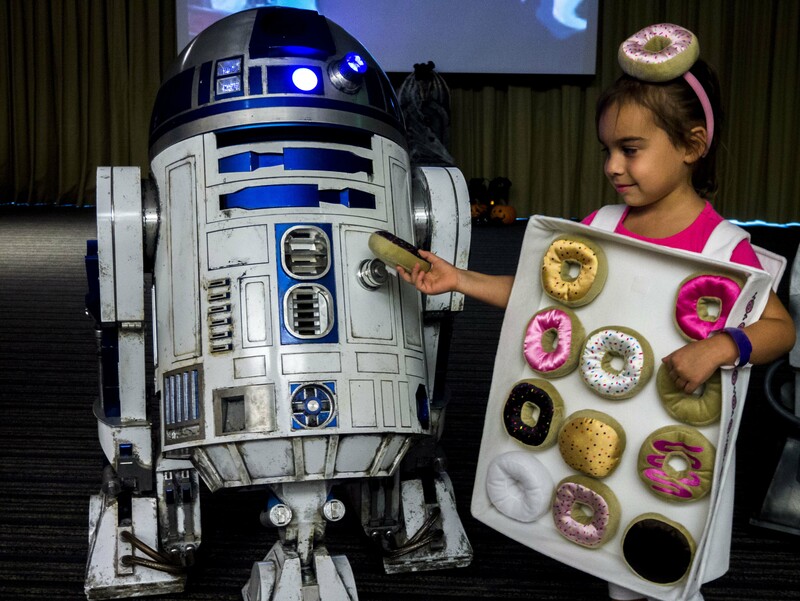 Below: This adorable little girl won the contest with her box of donuts costume, and her parents allowed me to pose with a picture with her near the end of the evening, with hilarious effect! 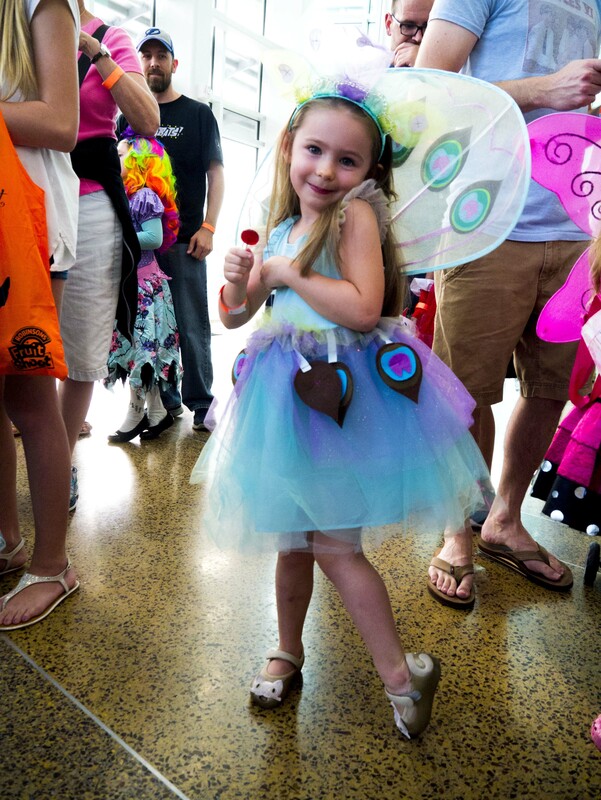 I’d say she is going to be a heart breaker someday, but she is one already.